We believe that family is everything, and our photographers tale extra care during capturing the beautiful family moment with a memorable photography experience. By booking a family photography session in Charlton with us gives you the opportunity to maximise the full potential and have special relationships forever, with your photos taken to perfection. Mostly family members a love to take selfies using smartphones, which in fact doesn’t really capture the special moments in their true element, in terms of quality photoshoot. It is proven that every moment deserves special approach to decide to take photography, most of the time we end up being the missing person from the picture! Hence booking a professional family photo session is so important, as you’ll get quality experience filled with fun and have the time and space to get it right. A family photographs as portrait is priceless, it gives you opportunity to project and the same time reflect special cherished memories, which you showcase to your loved ones in the near future to come. We know that life throws busy times to us however it is always possible to get everyone together for a makeover family photoshoot in Charlton, as you will not regret the experience had. We believe to perform a photo session at least once every couple of years allows you capture golden moments of you and loved ones forever. As we get older and children grow up so why not to memorise that special moments of life. Family photographs and albums are just priceless. Our professional team of photographers based in Charlton will ensure to produce the very best possible photographs in digital format or in printed version, so that you will never lose them. WE COMPEL OUR AUDIENCE. WE CAPTURE MEMORABLE MOMENTS. WE ENSURE THAT EVERYONE IS PHOTOGENIC. CAPTURE SPECIAL MOMENTS OF YOUR LOVED ONES. At GK London, we utilise the latest photographic equipment as well as state of the art lighting industry can offer which helps to capture incredible photography taken of you and your loved one. We encourage every client to have amazing family photo session with your loved ones at our photography studio – be it fathers, mothers, daughters, sons, siblings, cousins and grandparents – whoever you can bring along with you for the experience day. 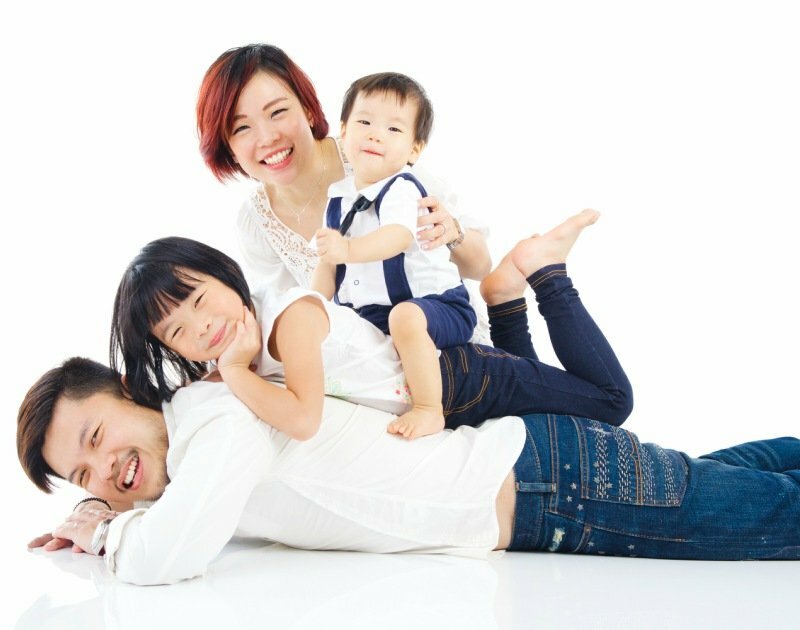 To get the most of your family photo portraits, we ask you ensure you and your family members are fit night before your appointment, and to also avoid wearing any hair products or makeup. Upon arriving at our studio based on Charlton, you will be greeted by our warm host. You will receive brief about what will happen on your day at GK LONDON. We will ensure that all family members aged 18 and over will then sign a consultation form. 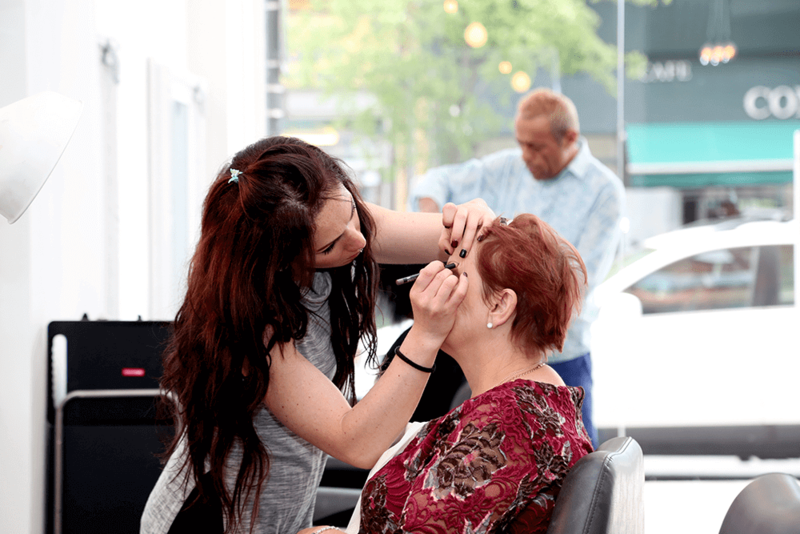 The information that you provide will include make-up, hairstyling and photography preferences that you may have. You will have photo albums and seasonal mood boards to browse through if you need any ideas or inspiration for the shoot. Whatever style that you are going for with your family, our specialist make up artists and hair stylists are at hand to make it happen. The makeup artists will be sure to use the finest premium products to cleanse, tone and moisturise your skin, and will also be happy to give you any advice regarding different types of looks. Our expert hair stylists will be able to offer you and your family any style that they wish for, including straight, curly or even different themes such as seventies or sixties. If you or any of your family members aren’t sure of what style to go for, our hair stylist can recommend one, based on the shape of your face. YOUR DAY AT GK LONDON. Take your Incredible Family Photography images home with you on the day! During your family photo session, we tend to take around 100 smashing photos, filled with individuality, and allow up to five different changes of outfit each session. That is why we do kindly remind you to bring with you a minimum of 3 different changes of clothes each on the day, as we want your family to look their absolute best, and having more options means that we have a far better chance of getting the best photo shots possible. Depending on the style of photo shoot you wish for your family, outfits can include casual, seasonal wear, or even novelty and comedic clothing. 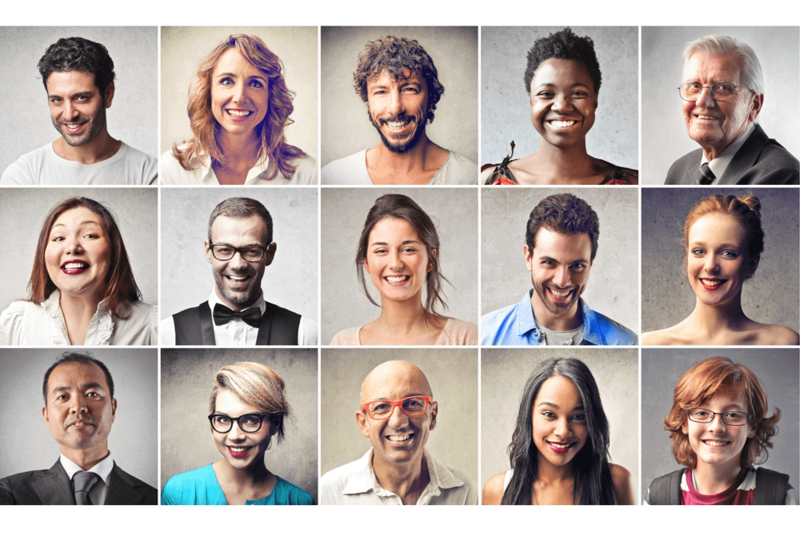 The wider the selection, the more diverse your family photographs can be! Once you have finished your family photo session in Charlton, you’ll come back upstairs and take a half an hour break while we load your newly taken images onto a wide screen monitor, so you can view them up close and in fine detail. Our viewing consultant will be there to help you select your favourite photographs, and also give you their expert opinion on which ones they think are keepers. If you decide to have your photos printed on CD, you’ll be able to take your high resolution images home with you on the same day and show all your friends and family. You and your family get to keep the rights of all the images you buy, meaning that you are fully entitled to print, duplicate or modify them. Our in-house photographers make sure they get to know your family, in order to get the best results possible, as every family member should be portrayed in their own unique way that befits them. We always ensure that your family’s expressions are the focal point of the image, and tirelessly work to bring out each individual’s unique characteristics on a still image. 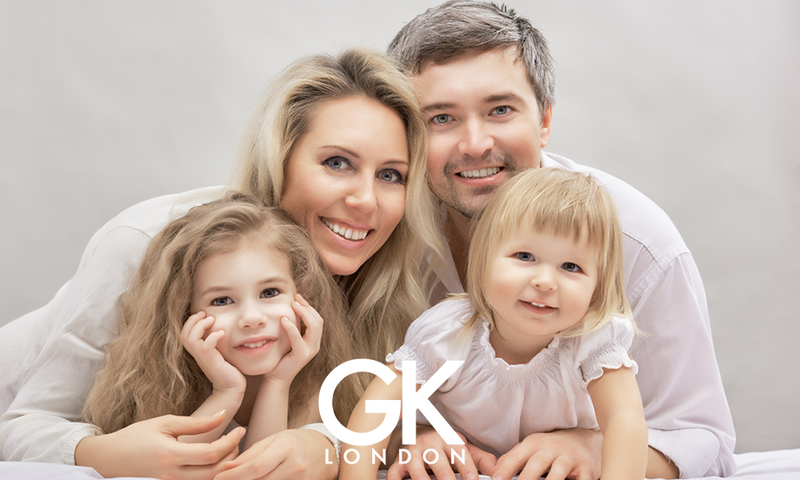 Your pictures at GK London Charlton will not just only be images, but they will be stories of your family’s close bond, brought to life by our magic. We have over 8 years of experience in producing family photographs, and are widely considered as one of the leading photographic studios in all of London. Our creative team has worked with many different families over the years, and understand that photographing children can be a challenge at times, which is why we are able to put you and your kids at ease at all times, creating a relaxed and fun-filled environment. All photographs are photographed in High Resolution ensuring the highest quality for print and reproduction. You have full copyright to print, duplicate and amend any all of your purchased images. Prices range from £69 for a High Resolution CD photos and packages start from £295 and upwards. We offer flexible payment option so you can go home with all your favourite images on the day. Photo ID and a minimum of 25% deposit required. We’re fully committed to creating a beautiful collection of keepsake images however, if during your your viewing you decide not to purchase any images we will refund your deposit no questions asked. 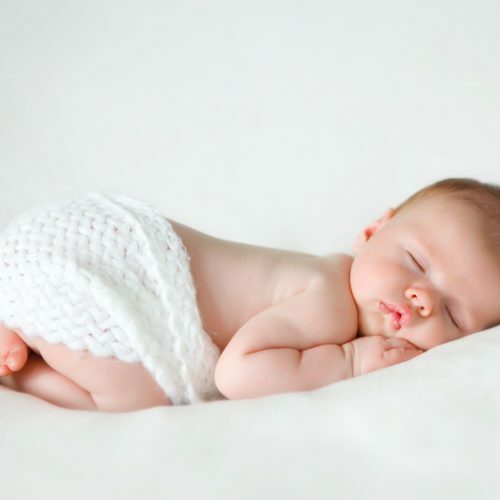 TOP TIPS TO MAXIMISE YOUR FAMILY PHOTOGRAPHY SESSION AT GK LONDON. 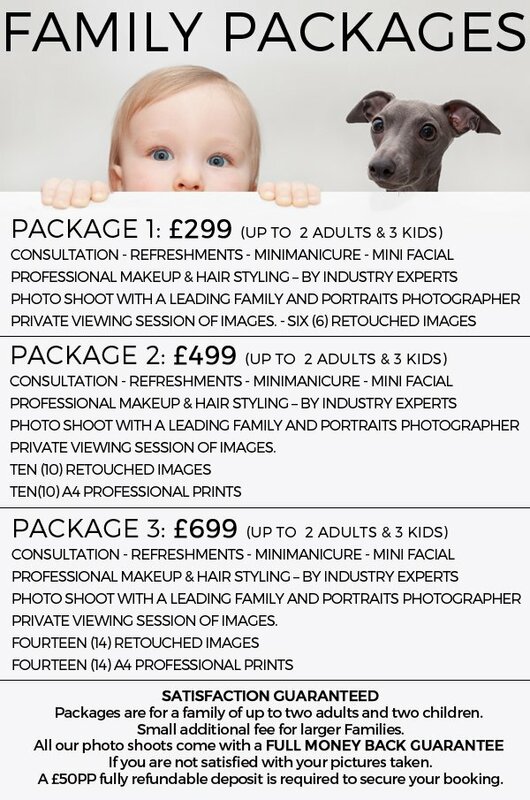 Top tips from us on how to prepare and make the most of your family photography session… Please ensure that you confirm your appointment so we know you are coming. Please aim to arrive on time for your appointment and allow for 6 hours from start to finish. In most cases it will be less but delays can often occur. Please bring proof of ID as this may be required on the day. Maximize your photo shoot by bringing a wide variety of your favourite outfits. Examples include: casual, seasonal trends, accessories ideally whatever you feel most comfortable in. Due to the special nature of our service all orders for photographs in Kensington will need to be placed at the time of viewing. In the likelihood you wish to keep your images bring your debit card along on the day. Arrange your travel well in advance. For any enquiries on the day of your appointment please contact our studio on 0207 603 5054 Remember the more you put into it, the more you will get out of it! Turn a cloudy day into something beautiful.